How many times have you put your purse in your shopping cart when you go to the grocery store? You might keep an eye on it or rarely ever leave your cart alone, but having bag or wallet sitting in the cart is already a dangerous, risky game to play. No matter how alert you think you are, all it takes is a second of distraction for it to be snatched away. 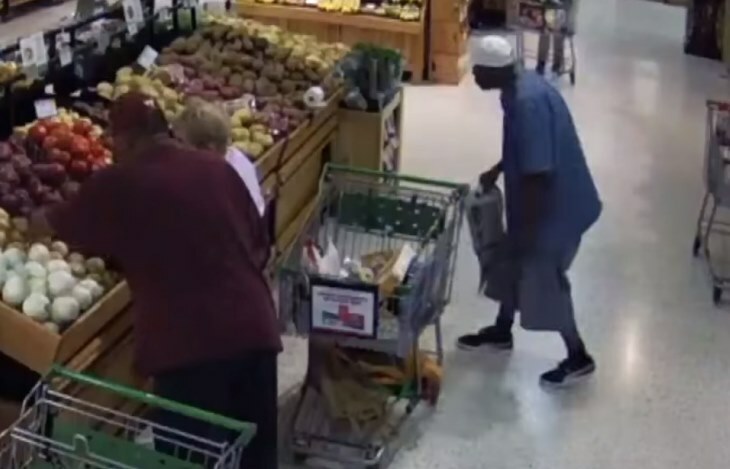 Footage from security and surveillance cameras in numerous grocery stores have captured a frightening and unnerving new “trend” that thieves are performing. 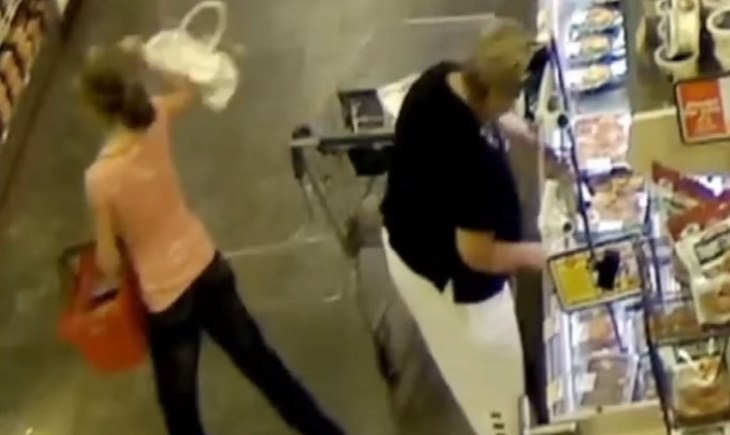 When women leave their purses in their carts or baskets and turn for a split second to get something from a shelf, a thief swoops in and lifts the purse away within a mere moment. By the time the shopper turns back, the purse is gone and the thief has disappeared down the aisle. But these thieves aren’t always working alone. Sometimes, they pair up. One individual distracts the target shopped by asking for help or striking up a conversation. While the shopper is engaged and speaking to that individual, the other half of the duo will sneak up and steal the handbag in the shopping cart. It’s a horrifying technique that works so well, but it’s also easily preventable! Inside Edition decided to conduct an experiment to see how easy it is to conduct this crime, and the results are pretty scary. You can watch their undercover operation here. Remember, to be safe, always wear your bag with you – never leave it in your cart, even if you think you can keep an eye on it!